Thanksgiving is almost here and I am searching my drawers for the stretchiest pants that I own. I feel like Thanksgiving sort of gets overlooked, am I right? It’s just stuffed (pun intended) between Halloween and Christmas and it doesn’t get as much attention as it deserves. 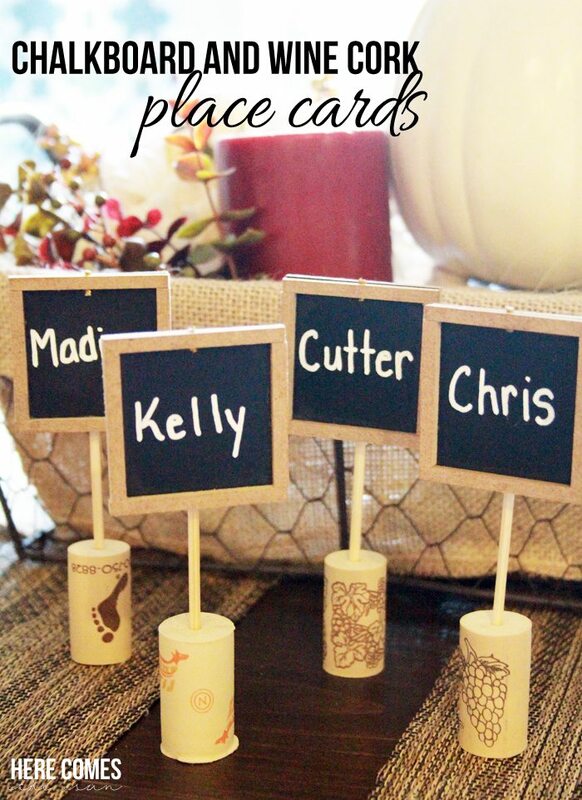 If you are hosting Thanksgiving dinner, you’ll want to take a few minutes to make these easy Chalkboard and Wine Cork Place Cards. 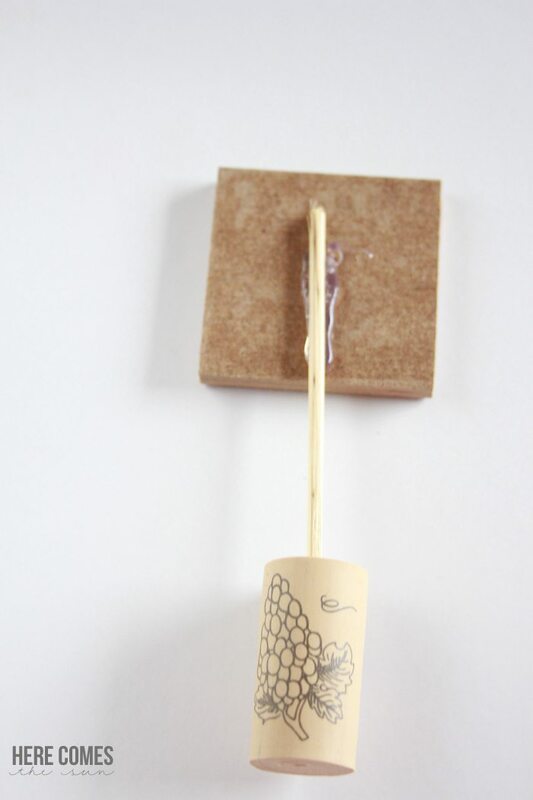 And the best part is that these can easily be reused for any celebration. 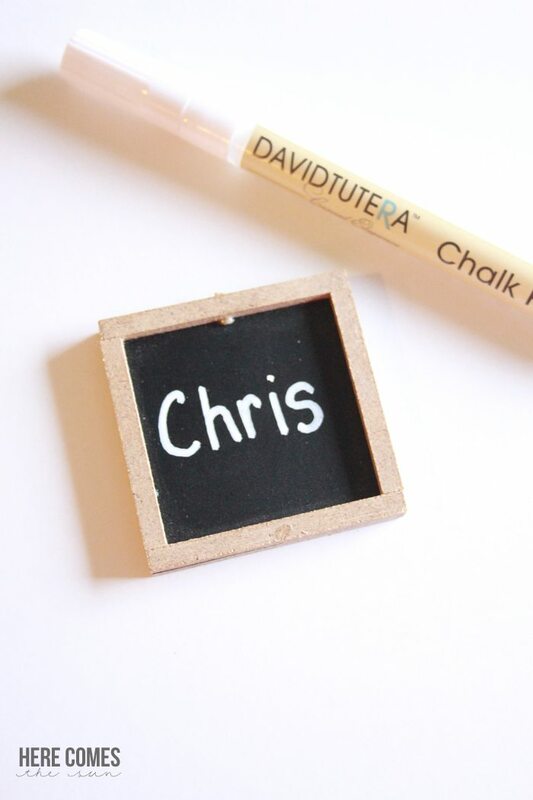 Using your chalk pen, write the names of your guests onto the mini chalkboards. I love using chalk pens because you get a crisp clean line and you don’t have to worry about any smudging. 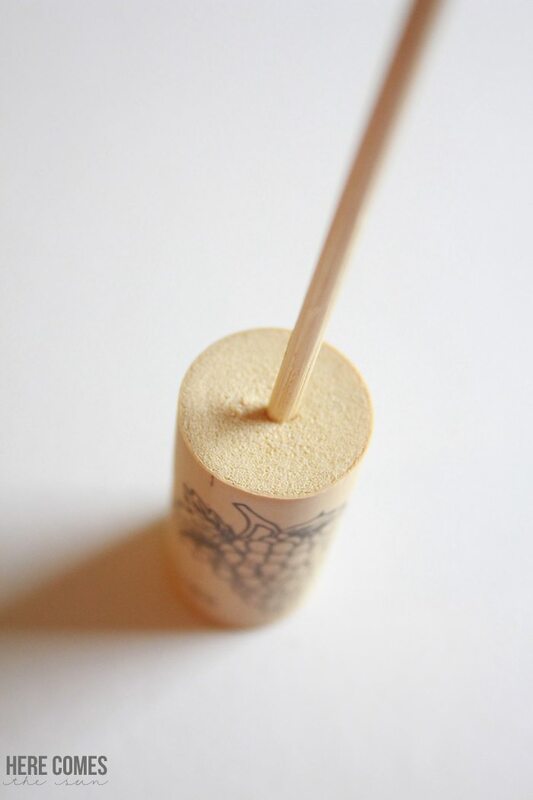 Chalk pens are wipeable with water but are permanent on porous surfaces such as paper, leather and cloth. 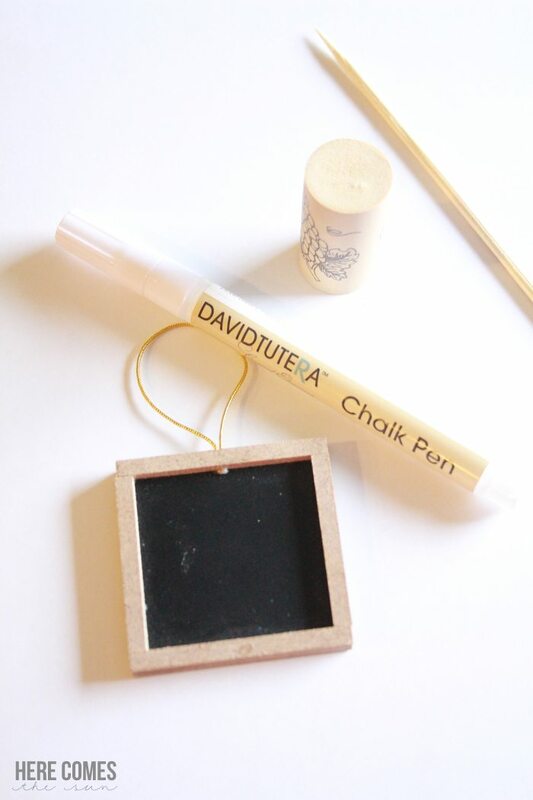 Place a line of hot glue on the back of each mini chalkboard and attach to the wooden skewers. These come together in no time at all. 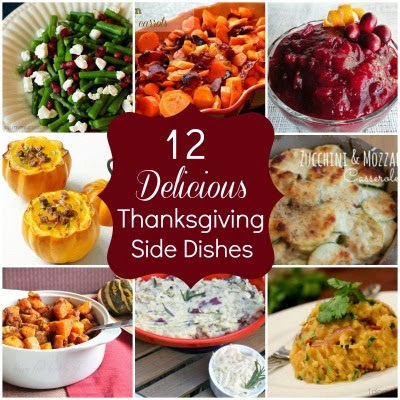 They are very easy to make and you can whip up a ton of them in a short amount of time. 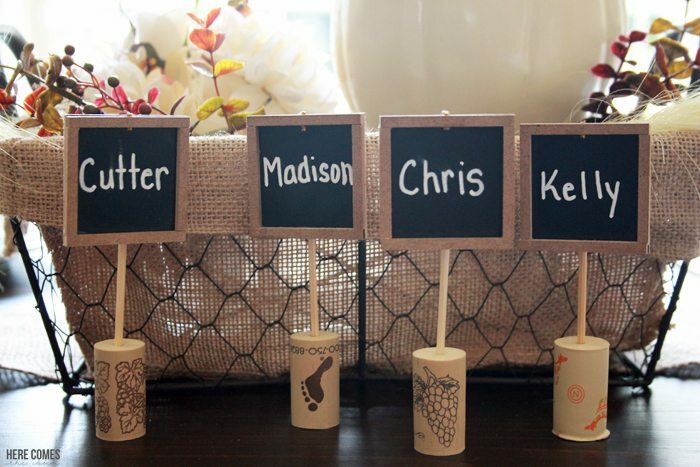 These chalkboard and wine cork place cards would work great as wedding place cards too or for any other celebration! 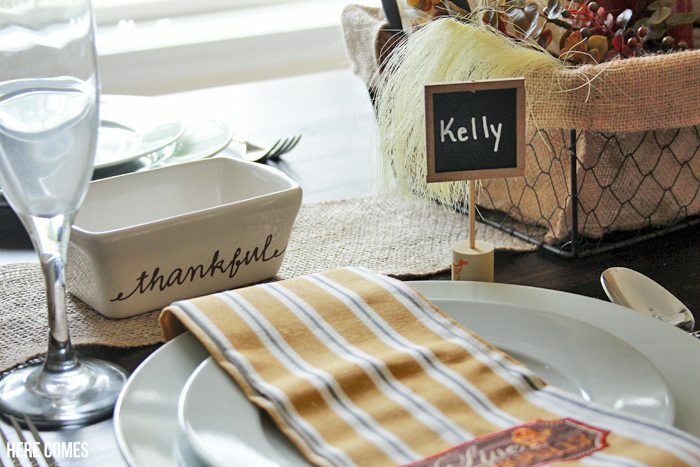 Now that you have your place cards taken care of, here are some ideas for Thanksgiving dinner. 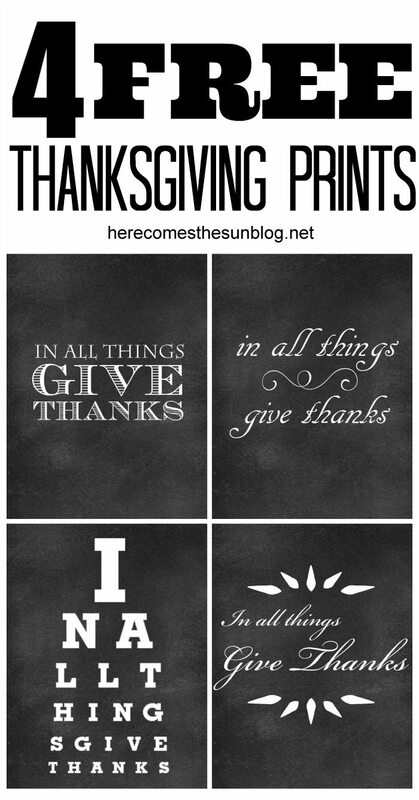 And here are some free Thanksgiving prints to use this holiday. I love this, can’t wait to try it.